Invest in your employees’ training and development! With no extensive system set-up, you can start training your employees the moment you activate your account. Manage notifications, reminders, and results all in one place. We make training organization simple! Courses can be completed anywhere, anytime, on any device. Legislatively required training courses help you meet your compliance obligations. 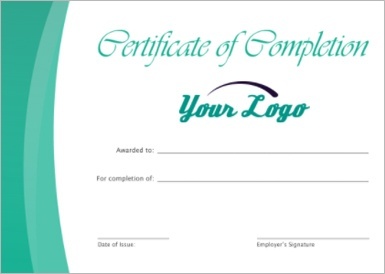 Customize your employee platform, training certificates, reminder e-mails, and more with your own branding. Speak with a member of our Client Success Team from 8 a.m. to 8 p.m. ET. I have been very impressed by the easiness and functionality of HRdownloads' online training. Our employees constantly express their excitement about the online training and how accessible it is! Thank you for making training fun and easy! 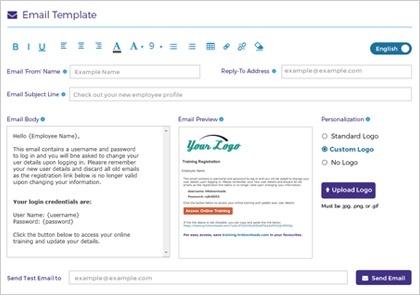 Customize employee platforms, training certificates, emails, and more with your company’s brand. training modules or training bundles. 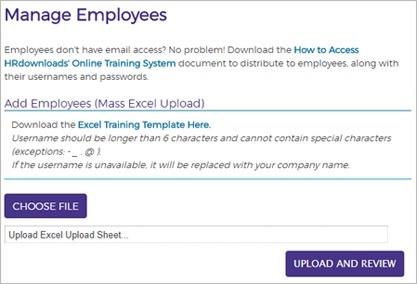 Create employee groups. Easily send friendly email reminders to employees. Online courses can be taken anywhere, anytime, or picked up where they were stopped. Print and file employee certificates and track their results. Administer, manage, view, and track training by an individual or group. 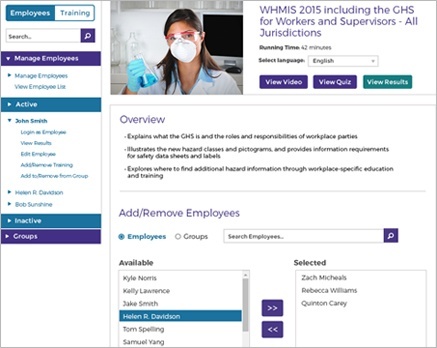 We help take the complexity out of compliance with Online Employee Training. 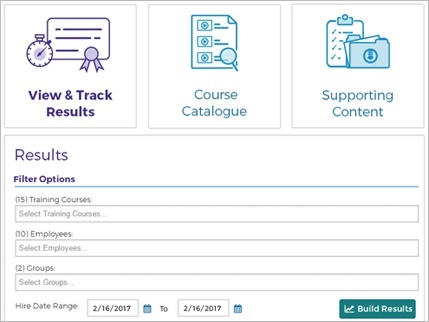 *Online Employee Training is an add-on to HR Fundamentals™.